Hey guys, I haven’t been posting much because I don’t know what to write about. Sometimes I’m lazy. And there haven’t been any good questions coming up in the A Sentence A Day journal. I have been on a Skinny Mint teatox since 21 July and I thought, why not do a review for the last one I did, a Skinnyme Tea one? So here goes! 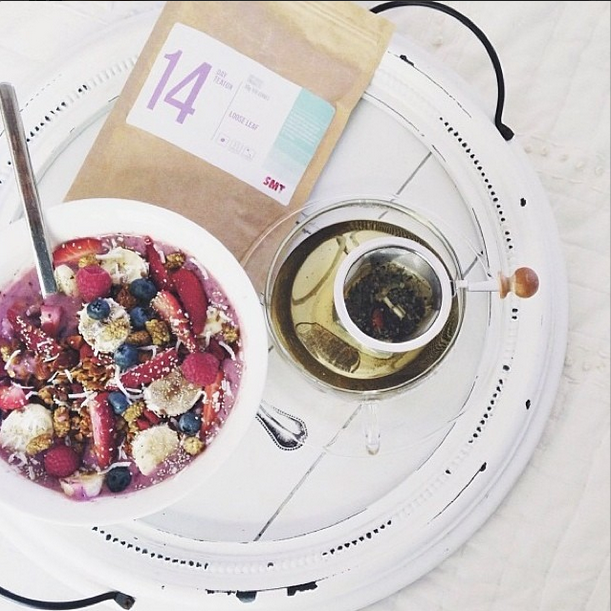 Picture from their website, www.skinnymetea.com.au. Two friends and I decided to do the teatox after I stumbled upon the brand’s Instagram account with loads of Before/After success stories. It seemed to work for so many women. I made sure the reviews were legit by checking the hashtags to see that other people were uploading their results on their own, and not through the company. After splitting shipping (with tracking) with my two friends, a 14-day teatox cost me SGD$47. It arrived in about two weeks, if I remembered right. Taking the tea was easy, a teaspoon of loose leaves from the Daytime mix, and a Colon Cleanse (night time mix) teabag every other night (starting with one on the first day). Both blends were easy to drink (to me anyway; taste is subjective). In fact I added honey to the daytime tea on the first day and found that it tasted better without. Both have a herbal profile, quite similar to green tea, no odd aroma. The instructions did say to take the daytime tea half an hour before your breakfast. I was still working from home at that time, so it wasn’t so much of a hassle. But I’d imagine if you were the sort who liked having breakfast at home before getting to work, that the half an hour wait needed some working around. Take a shower and do your makeup first maybe? After all it’s only for two weeks. The Colon Cleanse did not give me any out-of-the-norm stomach aches. I personally did not experience diarrhoea or going more frequently for Number Two. My normal habit is to go once every morning. Occasionally I would go once at night, after drinking the tea. I can’t actually say that it was due to the tea, as sometimes I do go an extra time in the evening. Bottom line: it didn’t affect my bowel movements too much and I’d steeped the teabag for 2 -3 minutes, as recommended. Do take note that senna leaves – an ingredient in the Colon Cleanse tea which has a laxative effect – affect different people differently. My other pal who was doing it did have to go do Number Two more times in the morning. Some women complained of cramps – sometimes too painful to continue with the teatox. I personally think it’s a little unfair when customers get angry about how the tea affects them this way because it is stated clearly on the website that the night time tea has a laxative effect – you make the decision on whether or not you want to give it a go. Of course, the point of you reading this is to find out if it worked. For my friends, it did not. For me, it did. Here’s the thing, the tea isn’t a miracle worker, you have to hold up your end of the bargain with eating healthily and regular exercise. My friends didn’t do that. Some lucky people report eating rubbish and still losing weight while on the teatox – well good for them, I don’t think most people are as fortunate. Around the end of 2013, I had started eating cleaner and upped my exercise because I wanted to be a better athlete. I dropped 2kg and started building more muscle. However, my weight loss seemed to stagnate after two months. I couldn’t lose any more excess fat. Yes, yes, there are other ways to get it going again – like running, but I hate running. I wanted to see if this could help. I’ll admit – I wanted a quick fix. After taking this tea for two weeks, without much change to my existing healthy eating habits and exercise (clean eating on weekdays, two cheat meals on the weekend), I lost 0.5 inches each from around my waist and my tummy, and 1kg. It doesn’t look like a lot, but I really needed that last 2 kilograms to budge – I wanted to go from 57.5kg to 55kg. At the end of the teatox, I was at 56.5kg. It has been more than two months since I completed it and I haven’t put the weight back on. I am not sure it helps to curb cravings. Some people say it does that for them, but I don’t know if it’s just a placebo effect. I did find myself eating less while I was on the tea, but I cannot say for sure that it was because of the tea. I got busy with writing and when I’m busy, I tend not to feel hungry or get cravings. Plus, I just spent $47 on bloody tea, I ain’t giving in to temptation and let it go to waste. It’s easier to ignore chocolate and cakes when money is on the line. What I do think genuinely helped, was the detoxification, and improving the efficiency of the digestive system; getting rid of the backed-up gunk inside. Plus it had ingredients that can boost your metabolism, so if you were exercising, you would be burning a bit more than if you didn’t have these little helpers. In fact during my second week, I wasn’t able to exercise as frequently as my regular 3 – 4 days a week, I only worked out once that week. I still saw the little budge I was hoping for at the end. But you must do your part in eating well and working out. The tea helps as a booster, not a cure. PS: I am not posting Before/After pics because I’m a bit hesitant putting something like that up on the world wide web, but if you would like to see it, just let me know and I’ll send it to you. It’s not much, but you’ll see a difference especially at my waist area. Which, I really need help with because I have that body type that doesn’t have a waist. Le sigh. I’ll do another review of the Skinny Mint Teatox when I’m done with it around the middle of August. Lots of love! Hi Ruby! I have been looking for a teatox to try, but have been hesitant due to the cost. Also I wanted to try a brand called fit tea but I hear that several people who paid for the tea never ended up receiving it. I keep seeing before and after pic but the girls in them tend to look like they already spend their lives at the gym drinking protein shakes. Could you e-mail me your before and after pictures because I trust your blog. Thank You so much! Hi Mae, I’m not sure if you’re a bot. Where are you from and how did you find my blog? Thanks :).